Updated July 14, 2014: Thanks to LilSister finding that the craftable items were also, showing up for the pottery wheel I have made changes to the 4 craftable items. Please be sure to remove your older copies and replace them with the new upload. Thanks to pykkadilly for requesting and testing this! Sims gain creativity and are able to make one or many of the 4 items pictured below. 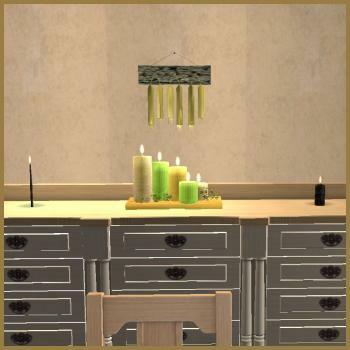 Once completed the item will go into your sims inventory which can then be placed within the lot and the candles do light except for the hanging candle. And this is going straight into my game and having a whole shop made to be dedicated to it. Thanks Beck! P.S. And the crafted items have different colors--just use the Design Tool after you've made them to change the color of the item! I know there will be many medieval TS2 gamers who will be delighted with this awesome creation. However, I believe it will be wonderfully useful in any era. Rebecah, you are the awesome! As usual! This is fabulous!! I can hardly wait to use it. Thanks so much for all of the positive support and appreciation for my work....It makes me so happy to give you all something fun to use in your games. This is brilliant work! I have been wanting craftables that would fit in a medieval game forever! Thank you so very much! Tears of joy. No, seriously, I am wiping my eyes while downloading. Beck, you never cease to amaze me! This fits right in with all of my crazy weirdness about having a self-sustaining economy and not having anything in a shop come from the EAxis void. Wow! No words could express how truly amazing this wonderful creation is! Big Thank You's to you and G-Knee!!!! Thank you so much for your appreciation and beautiful comment. It really touched my heart! Your creativity and knowledge never cease to amaze me, Rebecah. This is amazing! 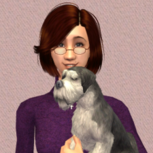 I'm not on my simming computer at the moment, but as soon as I am this is going into the Downloads folders of both my contemporary game and my medieval game. Thank you (and G-Knee) so very much for this! This is great. Thanks for sharing. The entire time she was making the candle I was looking at the donkey. sorry for being a bother, but when i loaded this in my game, the fire was blue and not working. Could someone tell me what i'm doing wrong? 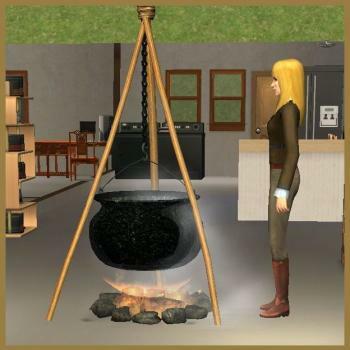 i'm dying to use this, i think it's lovely, but i don't know how to get the fire to work. thanks for any help! The fire portion requires the AL expansion. Aahhh... That's the problem. AL is the only expansion i don't have. Thanks for the help! Just realized that it says that right in the description. I'm such an idiot. Sorry! This is fantastic and will be very useful in the homestead challenge. You are so creative. Thank you. Rebecah, your talent is truly amazing!